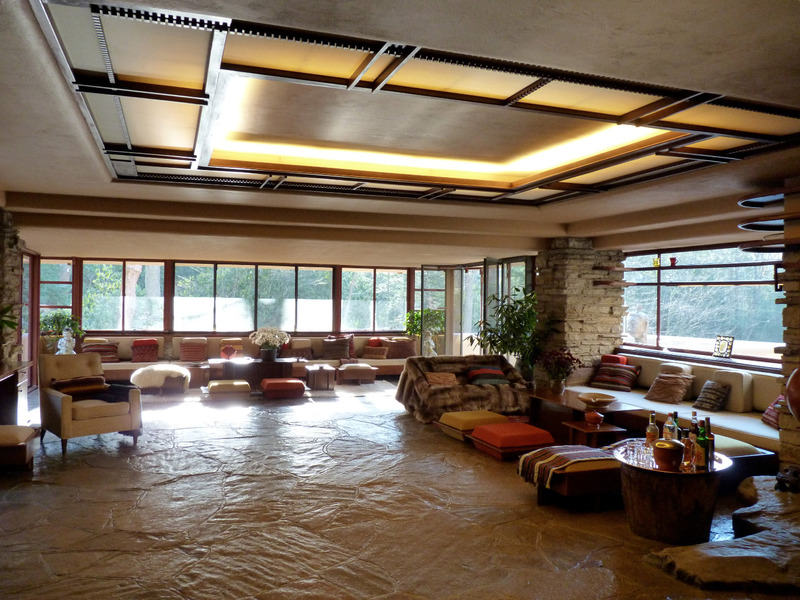 Preparation: My wife is a huge fan of the great American architect Frank Lloyd Wright. 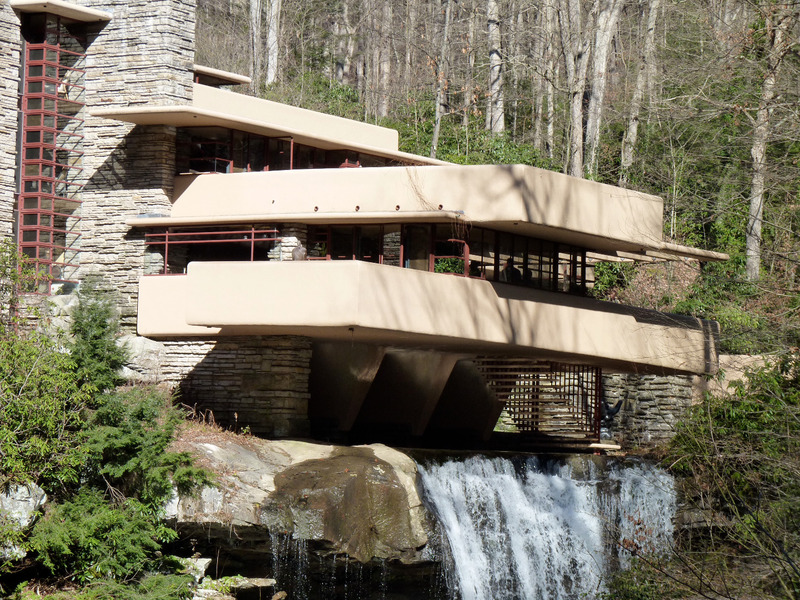 I surprised her with a vacation that took us near Pittsburgh, PA where 3 of Wright’s houses can be found: Duncan House, Falling Water, and Kentuck Knob. 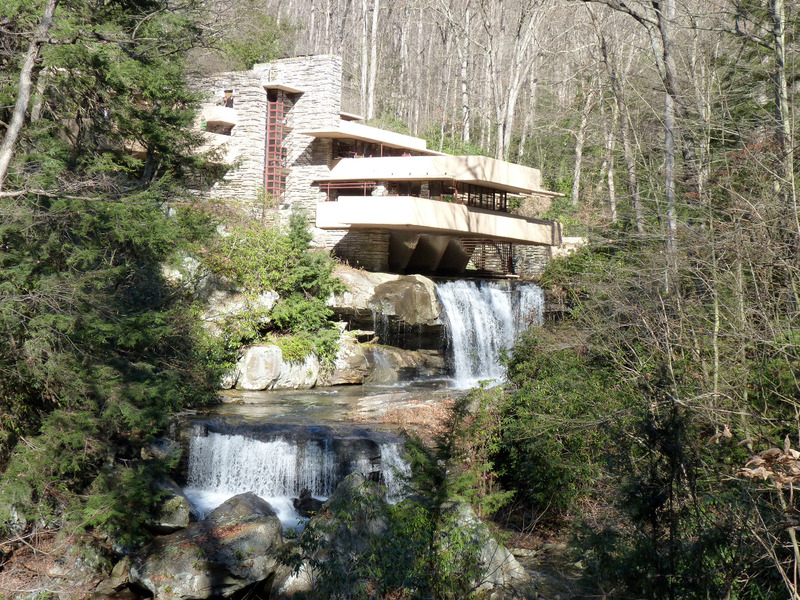 The most famous, by far, is Falling Water and we would visit that second. The very first night we would spend the night by ourselves in Duncan House. 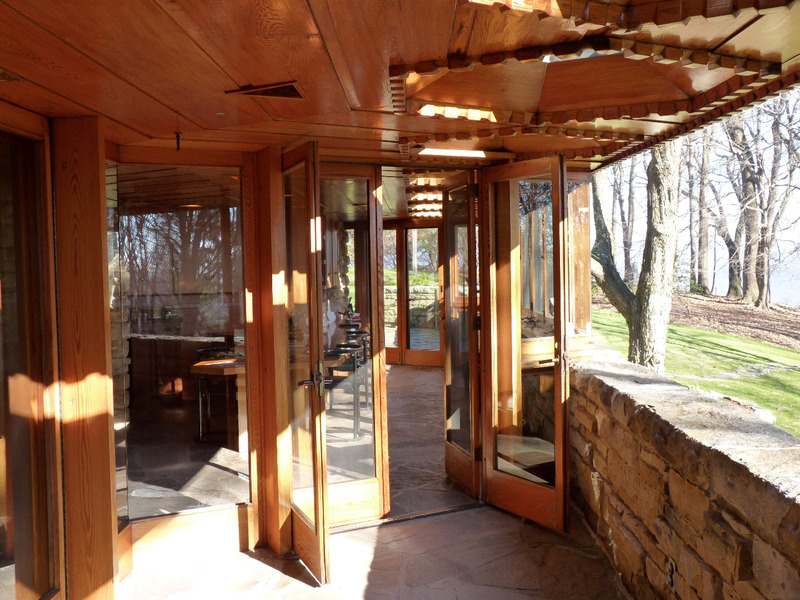 We would finish with a special brunch at Kentuck Knob. 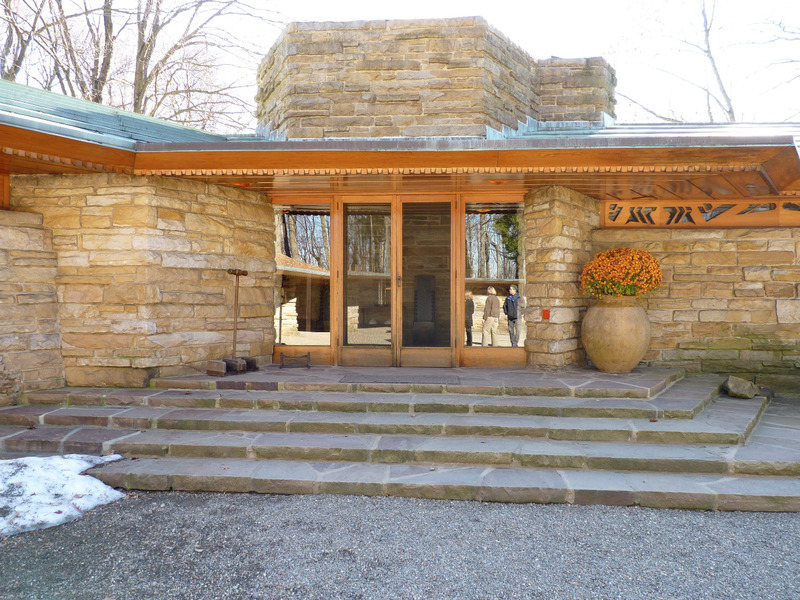 General opinion: 3 of Wright’s houses: Duncan House, Falling Water, and Kentuck Knob. Of all of the houses we saw, Kentuck Knob was my favorite because of the wood, geometry, and appearance of strength like a military bunker. 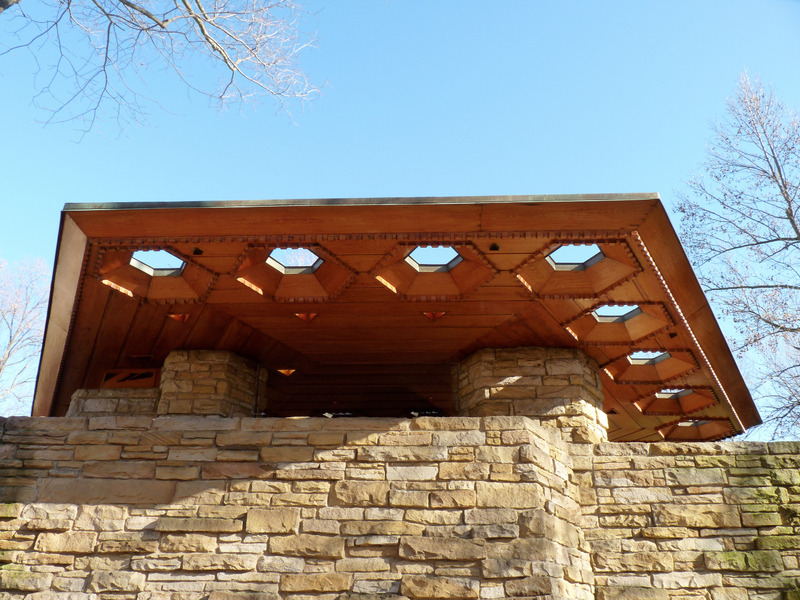 The grounds surrounding the Kentuck Knob house are also very interesting, complete with a sculpture garden. 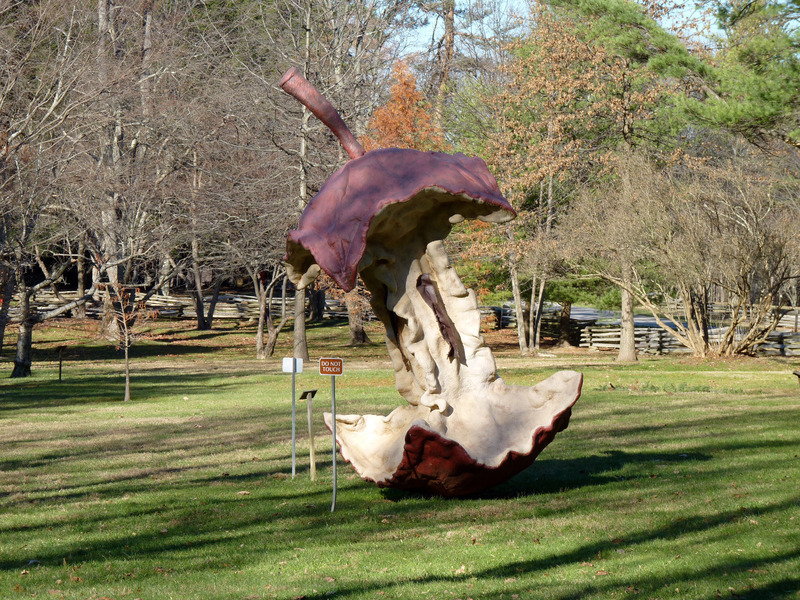 In my opinion, most of the sculptures were just weird and seemed out of place. Attractions and activities: Day 1: Duncan House. Landed at Pittsburgh airport and picked up the rental car. 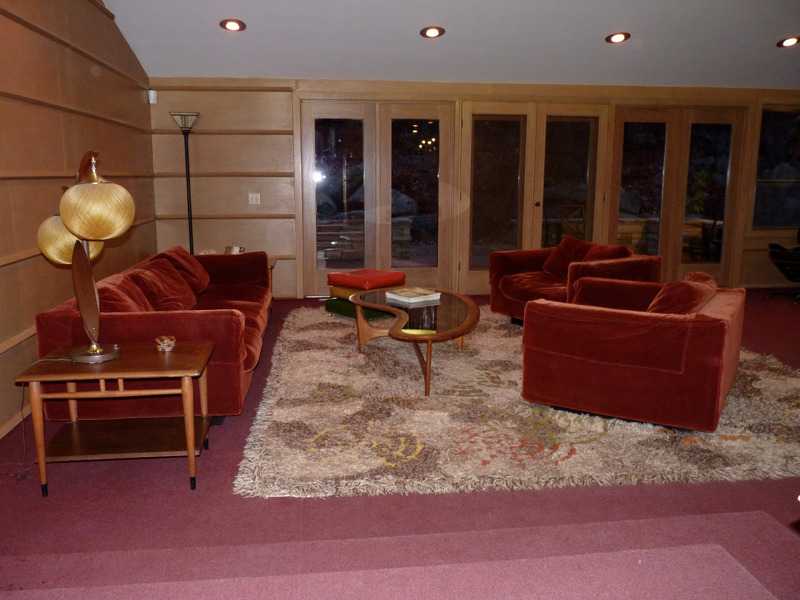 Our destination was Duncan House which was built in 1957 and moved near Pittsburgh to be more accessible to tourists. A company bought several houses to be used for over night stays. They also own a restaurant. It was that restaurant where we would go first before staying at Duncan House for the night. Day 2: FallingWater. 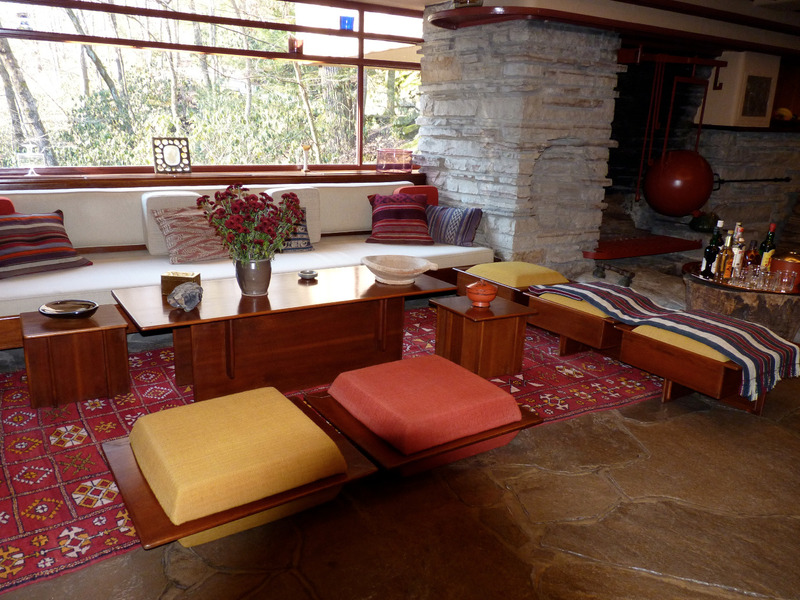 The next morning, we left Duncan House and drove 40 minutes to FallingWater for an in depth tour. On the way we eat breakfast at Brady’s because we saw it on the side of the road. It was nothing special. We finally arrived at the FallingWater ticket office to pick up the tickets I had already reserved. They offer many different packages and types of tours including one with a brunch. 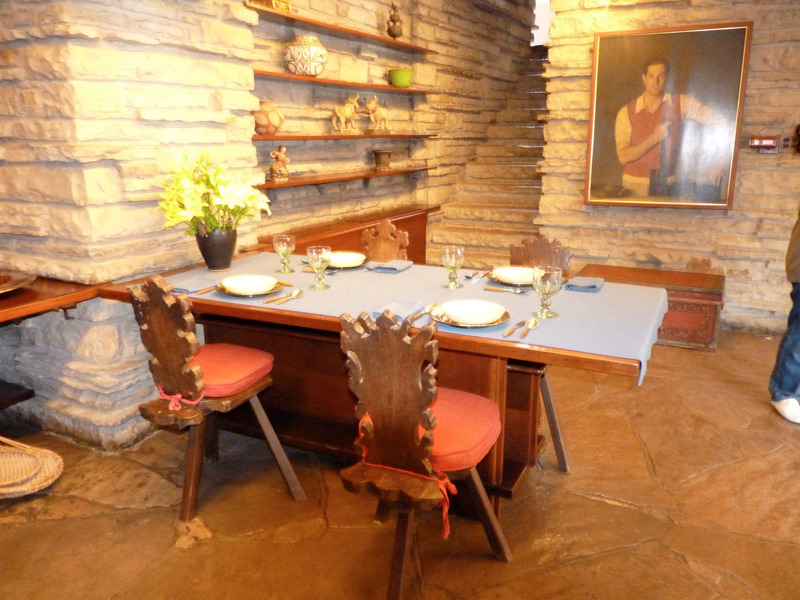 Our schedule would not allow the brunch tour but we did get the in depth tour which is longer and provides access to more parts of the house that are otherwise off limits. The house is an amazing creation that blends nature and man made materials together almost as if the house grew out of the ground. Because the house is built on top of a stream, the ground is not stable causing some structural issues with the house over time, but it has become a museum and the curators have spent the tourist money to preserve the house to make it last. 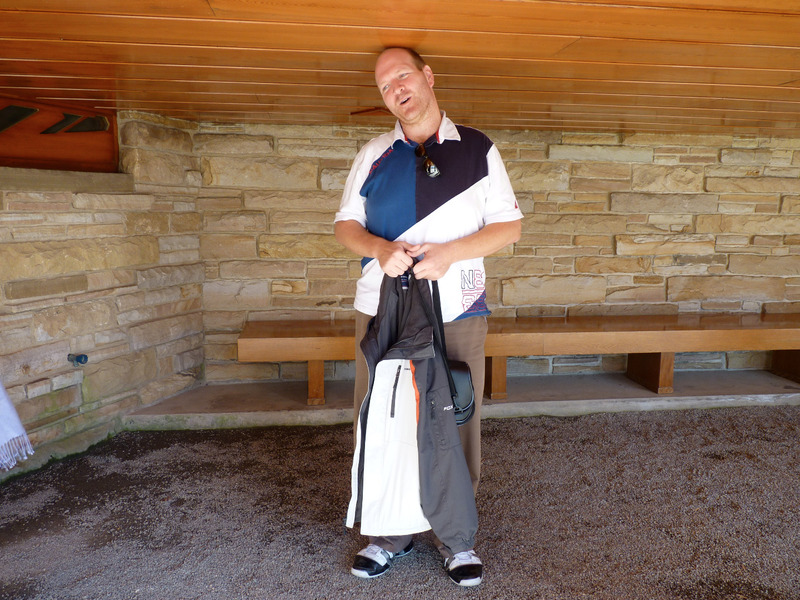 I am 6’4” tall and it is very obvious, and well known, that Frank Lloyd Wright did not like tall people. I had to duck all the time as I moved throughout the house. Day 3: Kentuck Knob. That morning it was time to drive 45 minutes to Kentuck Knob. 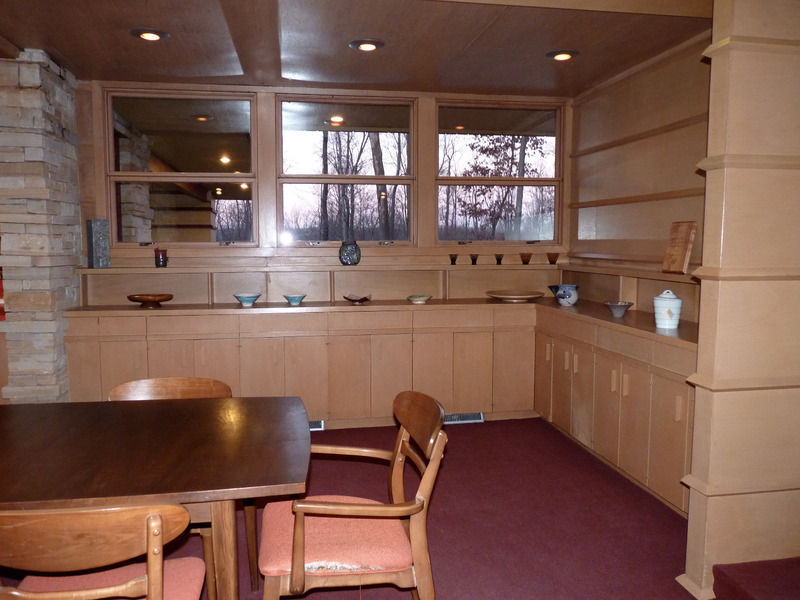 This Wright house is still privately owned, unlike the other two that we visited. This means there were extra rules to follow. 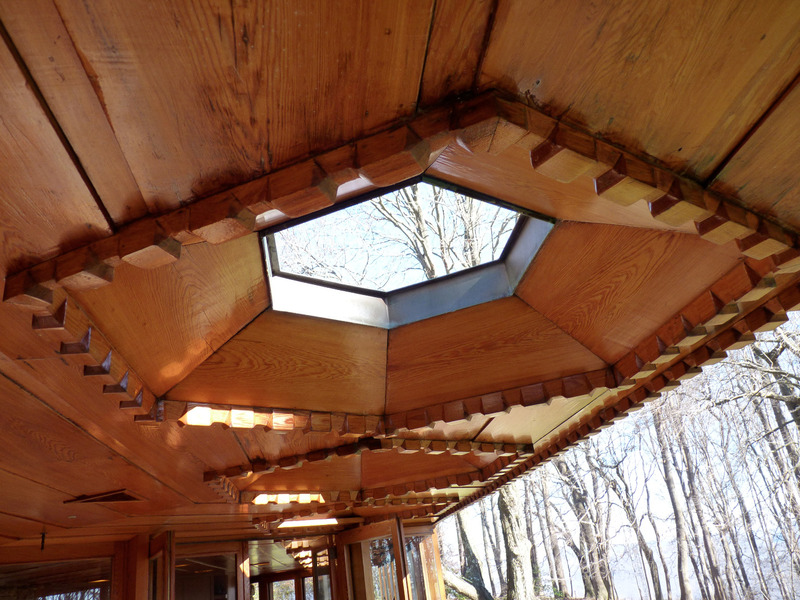 The Kentuck Knob house was very mathematical and geometric with lots of uses of hexagons. There were tons of wood used everywhere. The hallway to the master bedroom was so tiny, I had to turn sideways and shuffle my feet to pass through. Dining: The first night, in Duncan House, we ate dinner at the restaurant called TreeTops. We were the only ones there because it was late and in the off season. There was a single chef cooking everything and he would come out personally to ask us how the food was. I have eaten out a lot in my life and sometimes to very fancy places. This restaurant was not fancy in terms of the environment or dress code, but the food was at another level beyond anything I have ever had. The item that sticks out in my head, and will for all time, was the steak. It is the best steak in the world! Even though it was very thick making it difficult to cook properly all the way through, it was perfect! My wife is not a big fan of meat but even she was blown away. In Kentuck Knob visit, unlike Falling Water, our schedule did allow us to take the brunch tour which is provided in the garage house. Again, it was very short causing me to duck a lot. I am not much of a social person so I was a little uncomfortable sitting at a big round table with strangers during the brunch. The food was nothing special and not much of it. Commute: The drive from the Pittsburgh airport to the Duncan House was supposed to take 90 minutes and I used my smart phone for turn-by-turn directions. However, I missed my exit. Normally, this wouldn’t be a big deal in Houston where I am from, but it turns out to be a very big deal in the suburbs of PA. It must be so difficult to build roads in the hills of PA that they can't make very many exits off the main highway. The next exit was 20 minutes away meaning another 20 minutes back. Therefore, missing a single exit cost me 40 minutes and we were running late already. Lodge: 1st night: After dinner we spent the first night at Duncan House. It was very cold this time of year and the heating was not very good in such an old house. They only had 1 working shower in a bathroom with full windows and no curtains. 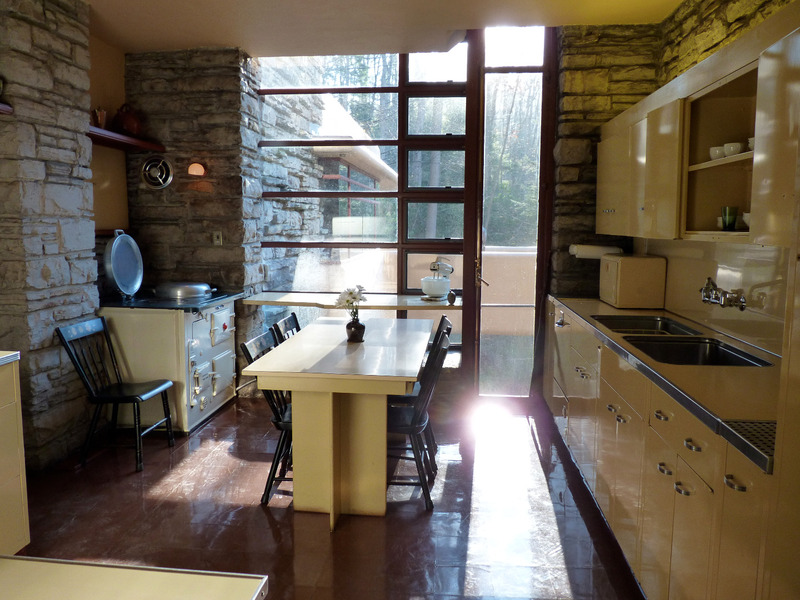 Frank Lloyd Wright was a big fan of natural light and openness. Luckily, this house was in the middle of no where but we still had to trust that nobody was outside in the dark looking in as we each bathed. Being able to stay at Duncan House gave us plenty of time to explore and enjoy the architecture. 2nd night: After we finished the tour at Falling Water, it was time to drive 35 minutes to stay at Seven Springs Resort for the night. I was originally looking for a Bed and Breakfast type of place, but highly recommended ones were closed during the off season. Therefore, I picked a ski resort. Seven Springs was very large and crowded causing us to have to park a long way away and walk forever to get to the lobby. What I didn’t know is that there was a convention of some kind going on that weekend and the entire resort was filled with members. Because it was at the beginning of the ski season, it was still a bit warm but the resort staff had already turned off the A/C for the season and cranked up the heat. It was almost unbearable to sleep that night due to the heat, and that it saying something as I am from Houston. Things I wish I had known before: About the Kentuck Knob, one interesting issue with this house was that the tour guide was very old and was giving facts that contradicted themselves. I got to the point where I stopped listening to her as things weren’t making sense. I think she should retire.